Not too long ago we met up with this fun couple in front of the cheese shop in Williamsburg. Have I told you lately how much I LOVE the Cheese Shop??? Good thing it is a drive for me otherwise I would be breaking the bank there! Anyways, we met up with Thomas & Christina for a fun engagement session. They are getting married this summer and we will be shooting their wedding video! I was excited though to do their engagement pictures as it gave us time to get to know them beforehand. Something we don’t normally get to do with our video clients. These two are very down to earth. And such a beautiful couple! 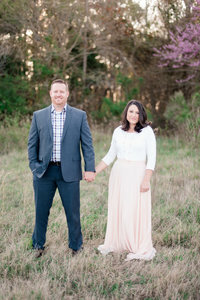 The weather was perfect and I am loving all the spring colors in these pictures! It was refreshing to see all the pretty blooms in Williamsburg! Spring has finally come!! We had so much fun with these two and cannot wait for them to tie the knot at one of our favorite venues! The Vintager Inn!! Thank-You guys and here our some of our favorites from your session! These two look like they could be models for the next J Crew ad! However, they truly were in their element when we hit the gym! Thank-You WISC for letting us use your facility and letting my kiddos play! !